The time you have with your audience is short. Make it count. Whether your goal is brand awareness or lead generation, you can't afford a web presence that doesn't connect, or fails to inspire action. A high quality web presence sets the stage for success. With careful design, the right look and the right messaging, your brand's appeal is unlimited and your ad dollars go much farther. We build complete websites. 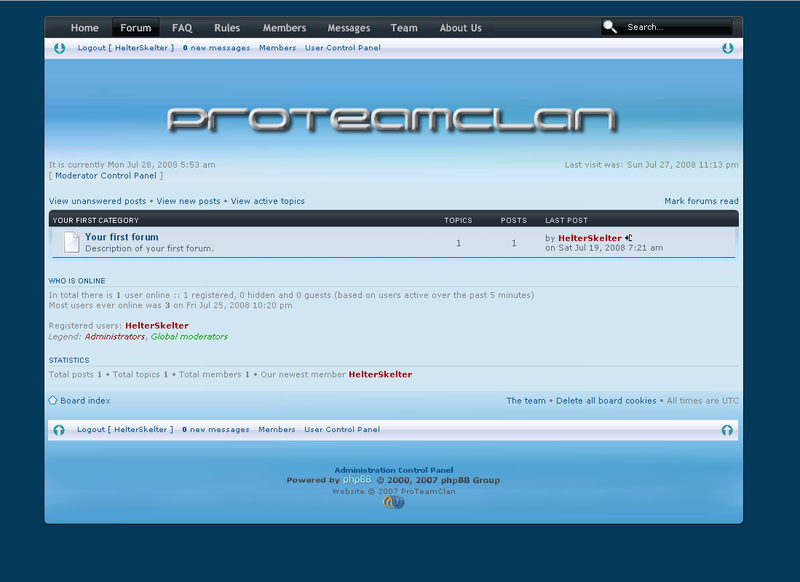 You can choose static html pages or use phpBB2 or phpBB3 as backend software. 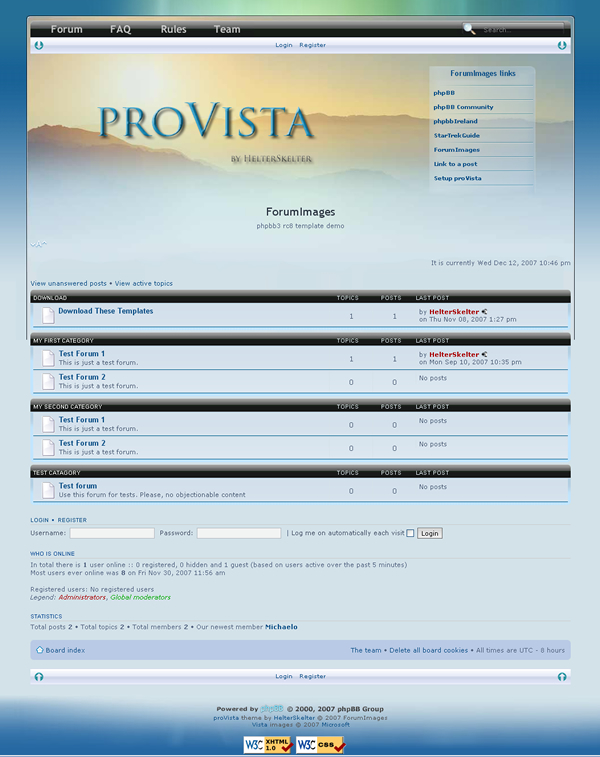 With phpBB as a backend, you can choose to include a forum on your site, or just use its sessions id, user management and language translations. 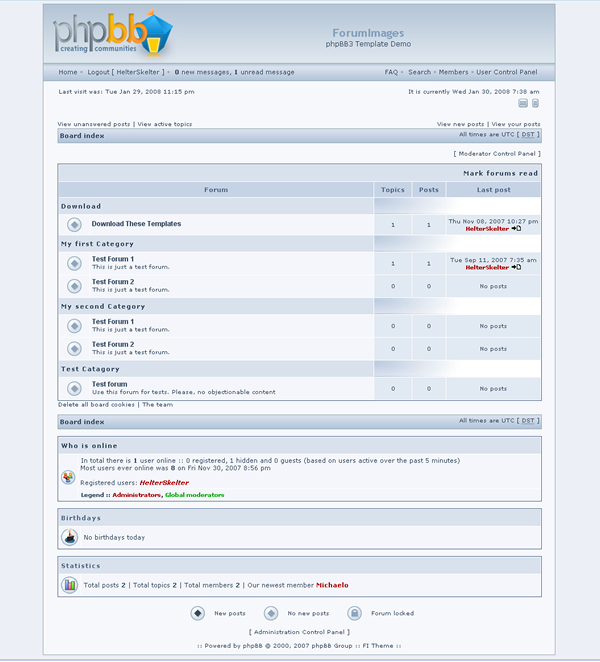 We can install phpBB2.x and phpBB3.x on your windows or *nix servers, with your choice of released themes. 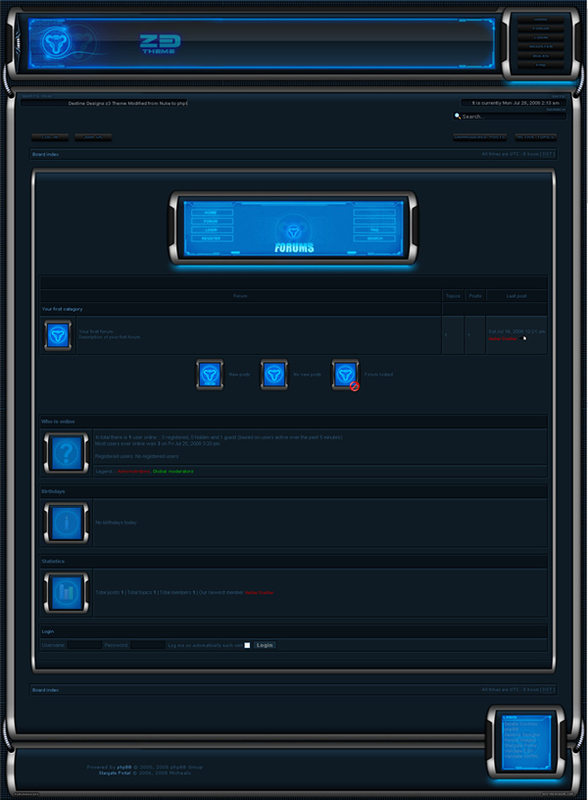 We can also customize these themes for you with personalized logos and banners. 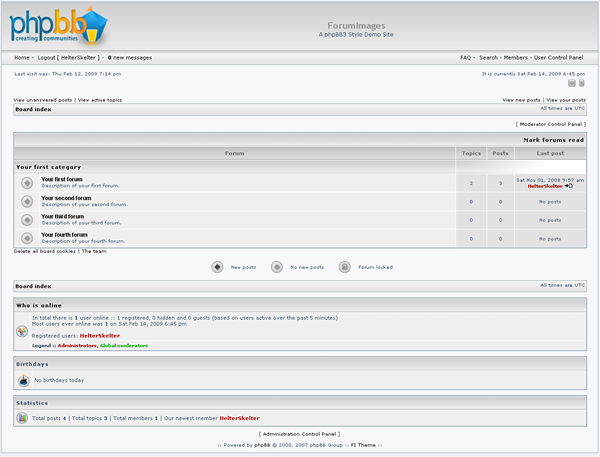 We can install IntegraMOD on your windows or *nix servers, with your choice of released IntegraMOD and phpBB themes. 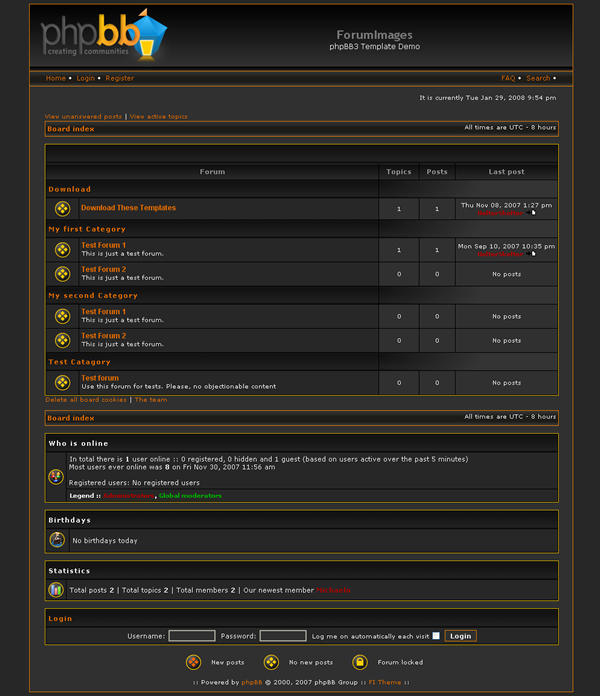 Need a released phpBB mod installed on your forum? No problem. Most can be installed in less than an hour. 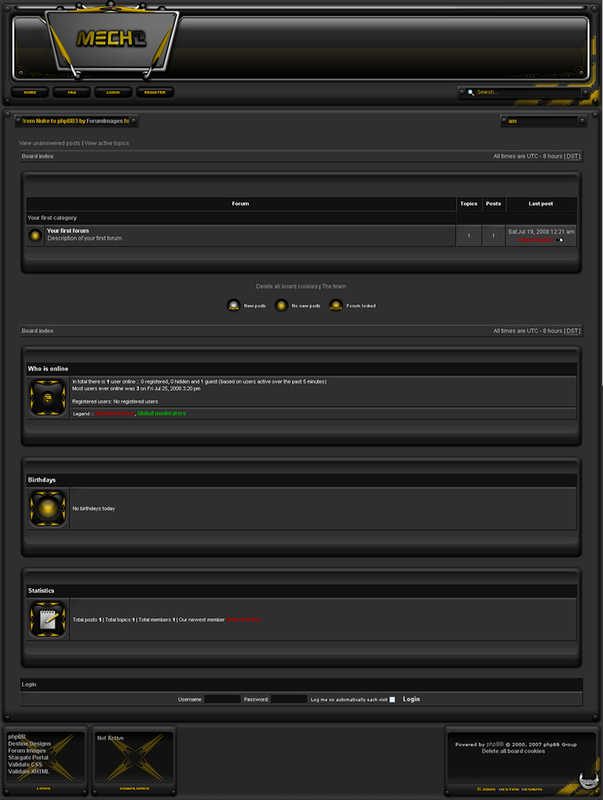 Though Ive never been a fan of phpNuke, I have always admired some of the Nuke theme makers, such as Destine Designs. Ive done many Nuke ports through the years, but here are two examples. I have known John, or more accurately known his IntegraMod nom de plume, "HelterSkelter" for the four years I have been using the IntegraMod software. During that time John has proven himself time and time again to be the heart and soul of IntegraMod. Before I became a JROTC Instructor I spent 22 years in the Army serving my country. 18 of those years were spent in the realm of Special Operations, serving in Ranger, Special Forces and Delta Force assignments to include service in two combat zones. I have spent my career serving as a "consummate professional", and I can easily recognize when I meet someone of the same ilk. In my opinion, John Wagner is a top-notch individual, and I would present him to you with my highest recommendations. Helter you rock! Thank you for all youve done for us. My kids love the site and we get alot of complements from thier parents. I really appreciate your taking the time to explain everything without making me feel dumb. I will recomend you every chance I get. You FI Guys are awsome! 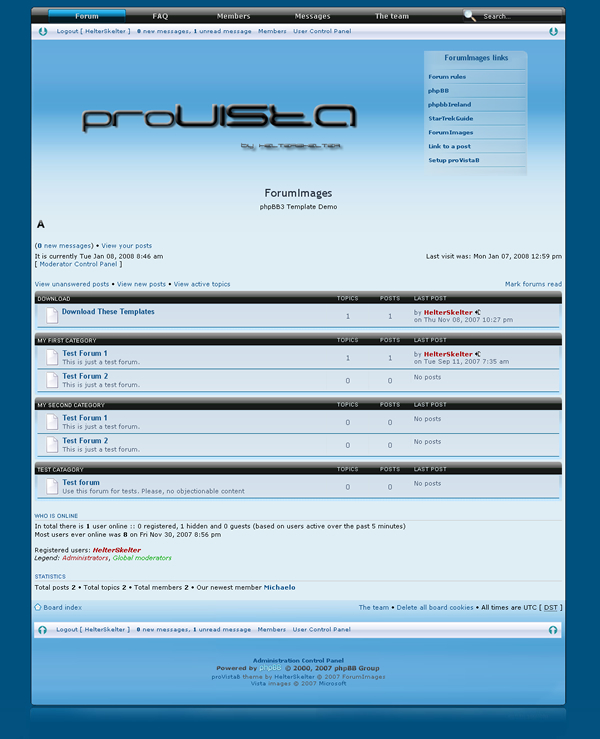 This is by far the best phpbb style ive ever seen!